This turquoise necklace is simple yet elegant. 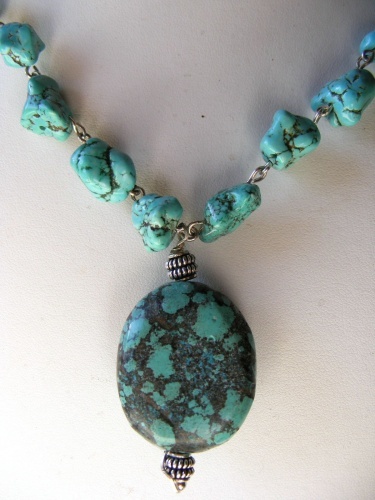 The focal is a very pretty piece of turquoise with matching nugget beads for the necklace. Piece measures 20" long.